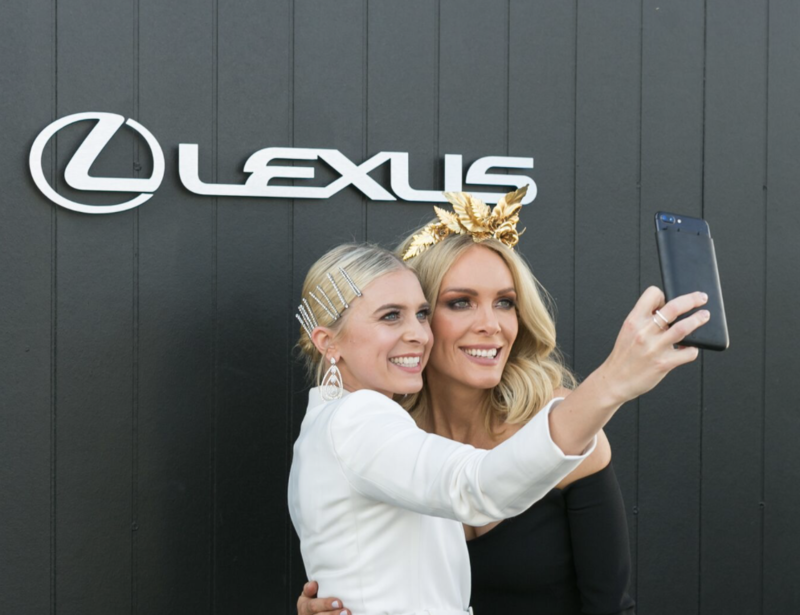 Derby Day dazzled in perfect weather on Saturday as over 91,000 people flocked to Flemington to open one of the world’s greatest weeks of racing. 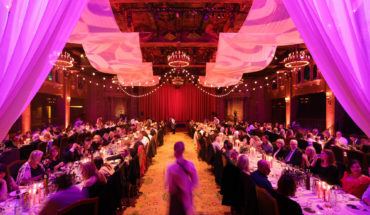 The Plus Ones have got you covered for a peep inside the prestigious confines of the iconic Birdcage at this year’s Victorian Racing Carnival. 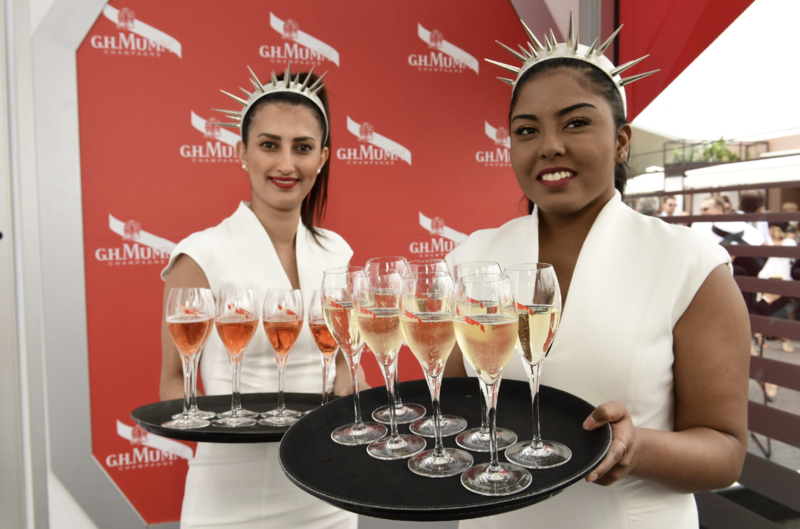 The Birdcage at Flemington is the hottest ticket in town and it’s invite only marquees harbour the AAA list, the latest fashion and fine dining, all showered in G.H.Mumm champagne. This year Lexus has taken charge of the naming rights for Melbourne Cup, and to celebrate the occasion, spared no expense with the largest pavilion in Birdcage history. 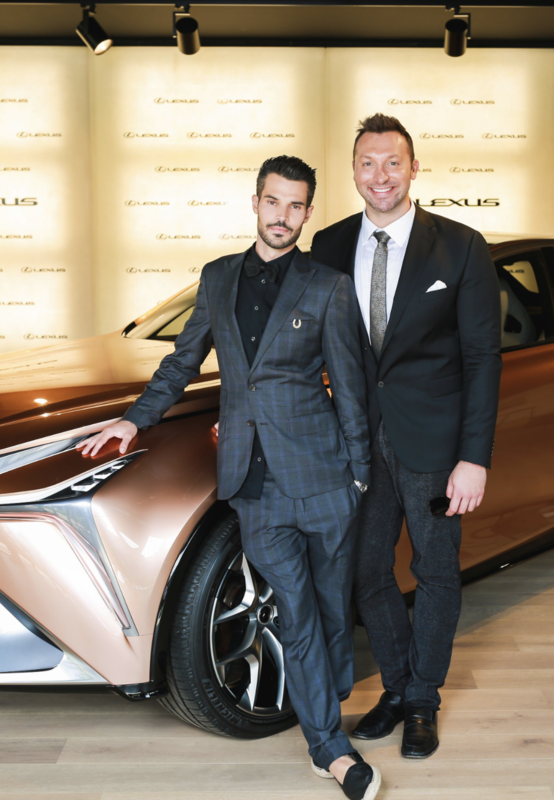 The Lexus Design Pavilion is three levels of premium entertainment, with multiple bars, roving canapés by Neil Perry and Richmond’s Future Future. Taking pride of place on top is a 76 seat fine dining room from award winning South Melbourne restaurant Lume. Inside we spotted “The Body” Elle Macpherson and Olympic swimmer Ian Thorpe. 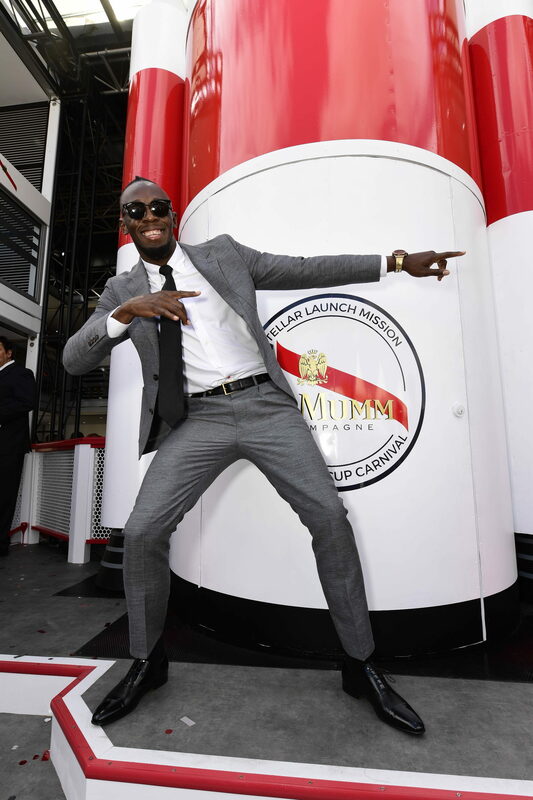 G.H.Mumm has topped last year’s yacht by lifting off into space, complete with their own two story rocket complete with in-built DJ booth. Usain Bolt was in attendance with his very own VIP section. Attendees were given the chance to open bottles by saber, which is knocking the top off with a giant sword, and experience all to itself. As with every year, the Mumm marquee is the place to be if you want to dance until well-after the last race, its party vibe is equal to none. The new kids on the block, Pace Penthouse by Pace Development Group made a grand entrance complete with a $60,000 mattress to take a load off those weary feet. Pace Development group have recently purchased land on the Flemington site for a new development of luxurious abodes and have quickly established that they will spare no expense. On the music duties a four piece jazz outfit accompanied by DJ literally blew the roof off Pace Penthouse with the dance floor erupting as they belted out classic house anthems. We were glad to see one of the youngest marquees at the races truly shake up the establishment at the Ultra Music Festival marquee. The crowd loved the opportunity to meet VIP’s such as Scott Disick, listen to great DJ’s and walk away with a brand new pair of Converse Chucks. This marquee was in partnership with Sami Saleh’s BAR NØNE Group who will sharing their extensive hospitality knowledge with Ultra to deliver great drinks and food during the festival next year. Ultra Music Festival Australia will be arriving in our country this coming February so keep an eye on our site for updates! Another new entrant to The Birdcage included Crocmedia, which was packed to the brim with sporting legends and a great live band. 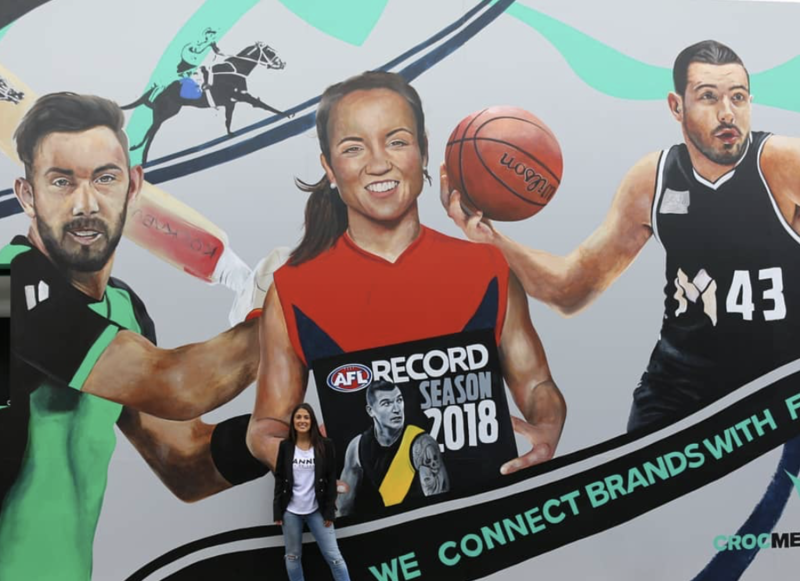 Australian mural artist Danielle Weber also painted a huge external wall mural over 7 days to celebrate Crocmedia’s healthy obsession with sport. Dating and networking app Bumble also making its debut to a full house so we look forward to checking out their offering later in the carnival. The AAMI Victoria Derby Day is held every year in November as part of the Victorian Racing Carnival. The venue is partially accessible. Disclaimer: The Plus Ones were invited guests of Neue Media, EVH, Xposed Media, Hausmann and Crocmedia. Images: Timothy Burgess/Imageplay & Supplied.